I took the kids to Singapore end of March for an early summer treat. The reason for Singapore as our choice of destination fully relied on the fact that R has a swimming competition there. 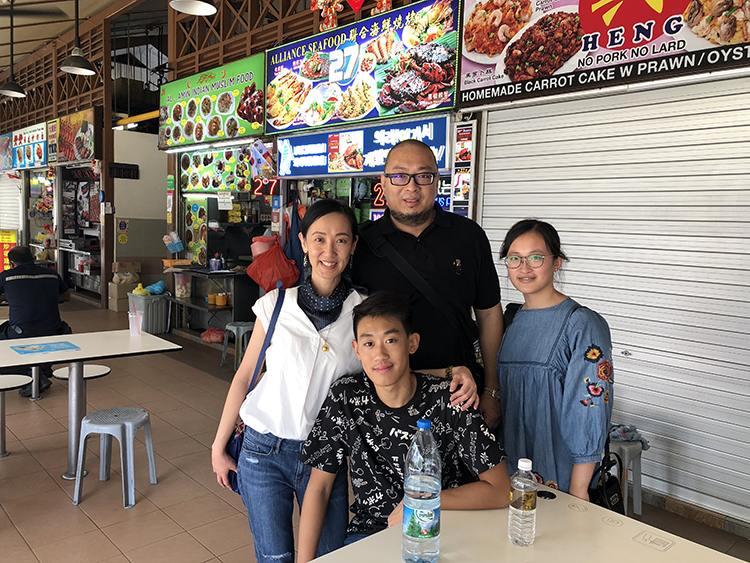 But we also took this chance to do the rounds of the hawker centers, which we were not able to do during our previous trips. Yes, we were scared then to take the kids to the hawker centers. I did not want to deal with travelers diarrhea because of their ages. Meeep! But now that they are older, it's all systems go! I'll share with you in a later post how I made sure to keep our tummies in fighting form. at the Newton Circus Food Center, considered by many as the best hawker center in Singapore. Fave son swam at the OCBC Aquatic Centre, Singapore Sports Hub for the 50th Singapore National Age Group competition. Unlike most of our trips, I did not really plan our Singapore itinerary in detail. We just played it by ear because we were dependent on the competition timeline. However, B and I made a shortlist of attractions we’d like to visit and C took note of the restaurants he’d like to try. 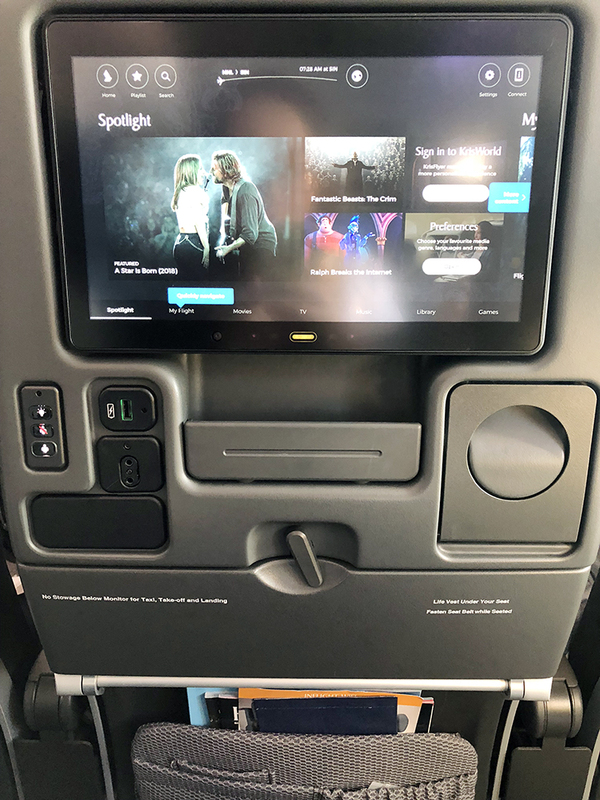 We've taken Singapore Airlines for all of our previous trips to Singapore, and this trip is no exception, especially since they just revamped their regional fleet to the all-new Boeing Dreamliner. The 5-star airline wants to secure their position as the world's best airline. Sa totoo lang, I've been tempted to try Cebu Pacific since tickets were selling 40% lower. But C would not hear of it kase he finds them unreliable. Plus he said if I add in the cost for the checked-in baggage and in-flight meal, it will amount to the same - almost. Magpapakahirap pa sya. (I'm not really sure of the checked baggage rules of Cebu Pacific since I've never flown them. So please correct me if I'm wrong) Which is true because we reached the maximum baggage allowance since fave son packed a lot of towels (hello, swim meet! And we don't use hotel towels kase) and athletic wear good for 8 days. I did not want to concern myself with his laundry (hello, vacation!) and he cannot reuse clothes (hello, pawis!) at baka magka BO pa sya. hahaha! 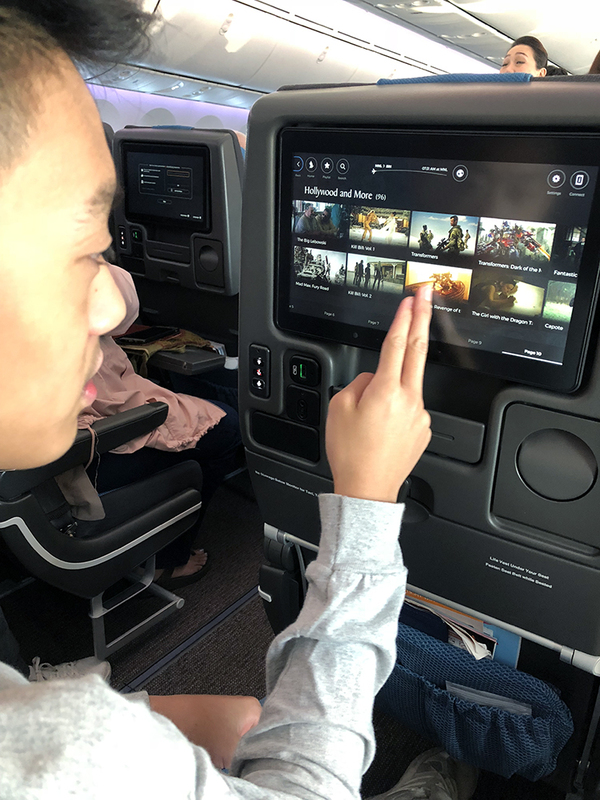 Singapore Airlines is all about comfort and relaxation while in-flight, even in the economy section. We had good seats, too, even if we found them narrower. The kids did not complain at all because as soon as they were seated, they got lost in the menus on the wide touch-screen TV in front of them. There's a USB port and in-seat power supply. We were not able to fly on time as the runway was congested. The captain apologized profusely, but of course the congestion was out of his control. Paano 4 airports, 1 runway. Ano ba yan! Na late kami ng 30 minutes, but we still managed to arrive in Singapore on time. While waiting for our turn on the runway, binusisi ko na lang yung console. 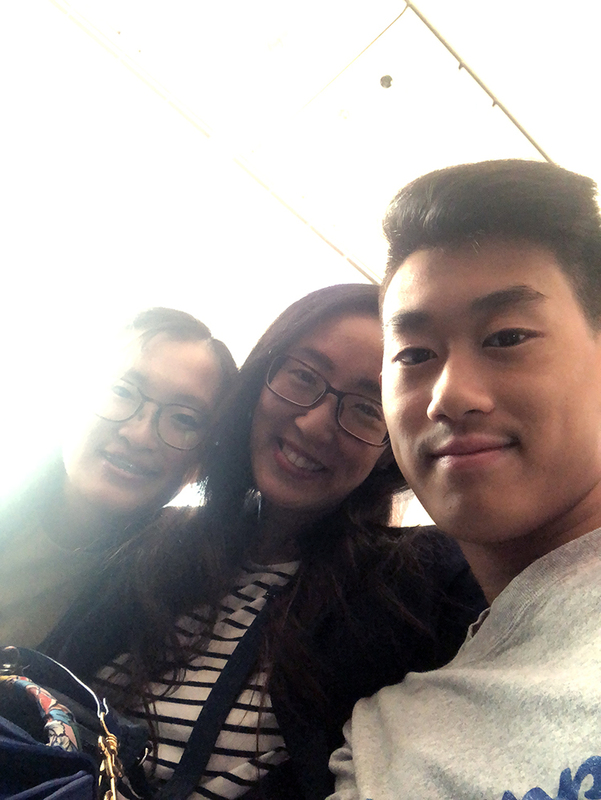 B always requests for window seats, and we were glad that even without paying extra to have the option to choose our seats, we were all seated together. Fave son got the aisle seat, I stayed in the middle, while B relished her window seat. 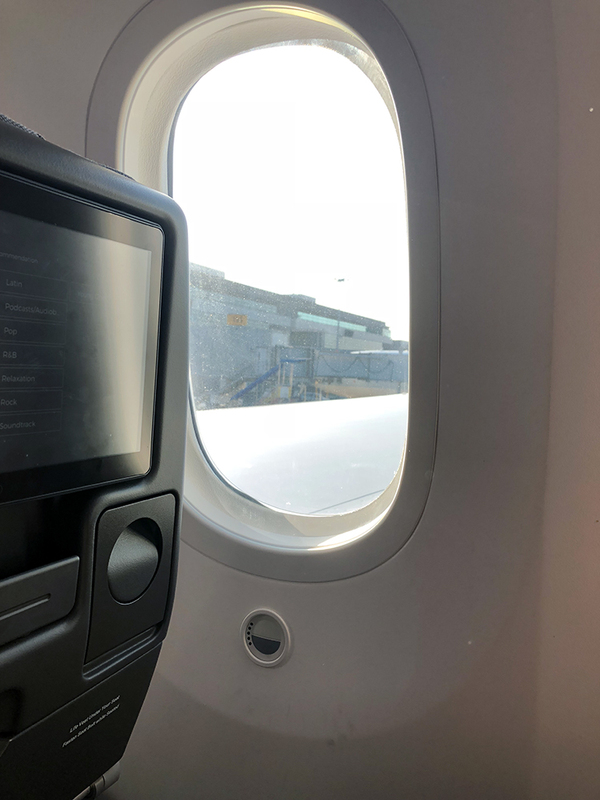 She noticed right away that the windows on the Dreamliner are bigger and they don't have any window shades!!! The windows in this plane use a technology similar to transition eyeglasses, you know those that automatically turn to sunglasses wehn you step out in the sun? Except that in the Dreamliner, the passengers control when they transition. It adjusts to visibility levels controlled by a small button. Hi-tech! Napansin ko din that my throat did not feel dry at all. Yun pala the plane has a hi-tech HEPA air purifier that filters bacteria and viruses. They also accommodate special dietary requests. I remember a few years back I requested for no chicken meals for the kids, and they even served the kids' meals ahead of everyone else. This time around, I did not make any special request na. 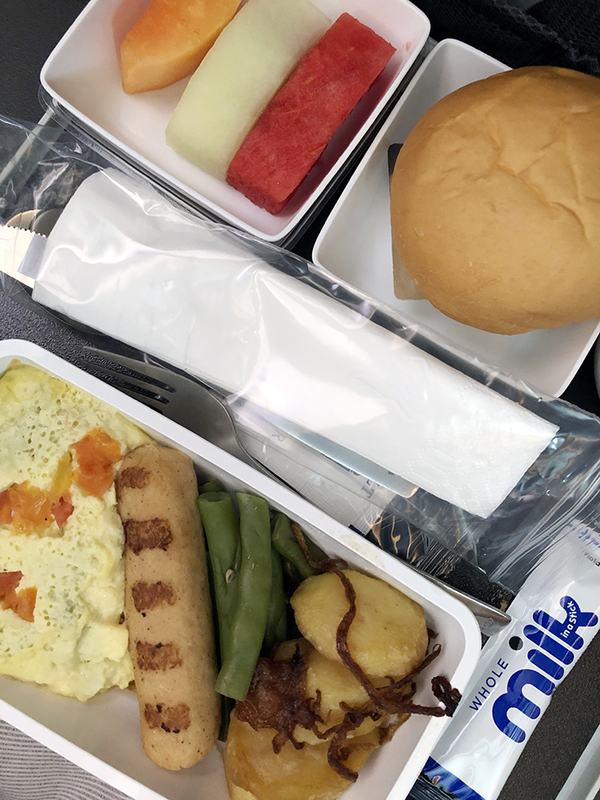 I appreciate the hot meal, especially since we were up at 4:30 to make it on time for our 8am flight. The entire swim team was booked at Hotel Mi Bencoolen. Although it wasn't required to stay in the same hotel, I figured it's most convenient to stay where everyone else is checked in. Swim meets have early call times and sometimes there are unplanned last minute changes in the schedule. Everyone can just commute to the stadium together. And also, I'm sure fave son wants time to bond with his teammates. The 2 kids and I went ahead and C followed halfway through our stay. I was worried about how C would react to the hotel for this trip. 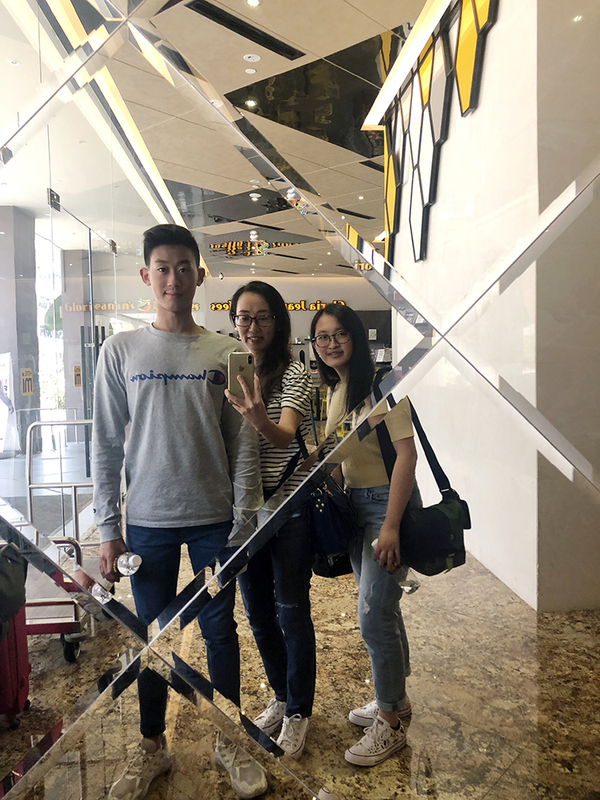 We had stayed in the family suite of the Marina Bay Sands during our previous stay, and I had already warned him not to expect much of Hotel Mi. It’s not bad,it's pretty decent actually, but it’s a far cry from Marina Bay Sands. I booked the biggest room available in Hotel Mi, the family room, but even then the room is still very small, especially with the 2 boys. But for the price I paid (SD 241.25/PHP9,200 a night for 8 days), I have no complaints! The family room had 2 queen beds, which is perfect for the four of us (Naiwan si achi sa Manila because she still had school). The hotel room is clean, neat and well furnished. It’s an average accommodation with a reasonable price. 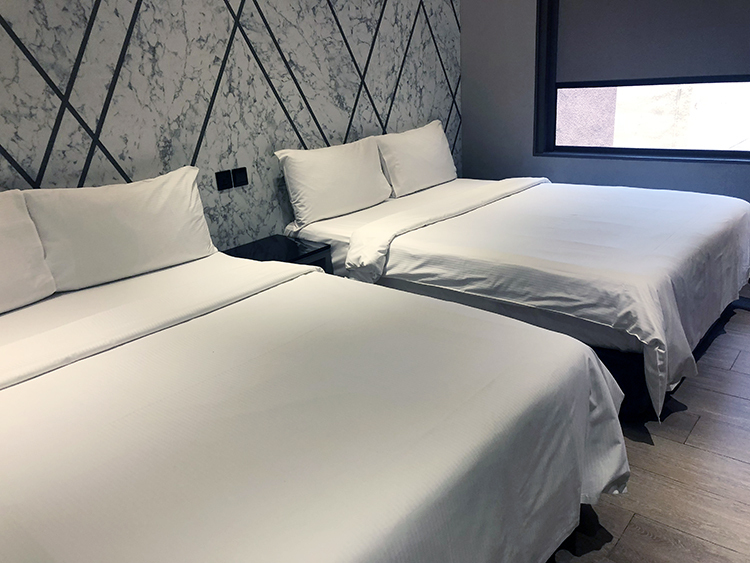 Our room is well-equipped, new and modern-looking. The beds and pillows were comfortable. I asked for 4 extra pillows so I could prop myself while sleeping (acid-reflux problem) and they fulfilled my request right away. They were also very, very generous with replenishing our room with sufficient water bottles everyday. I did not really have to buy na, but then distilled water kase yung kanila (acidic) and I wanted natural spring water (alkaline) so I still had to buy. But if you are not picky with your water supply, tipid na sa water expense. As you can see, space is tight. We had a difficult time fitting 3 suitcases that B had to take out the contents of her suitcase and pile her packing cubes by the night stand so we could keep her suitcase upright. 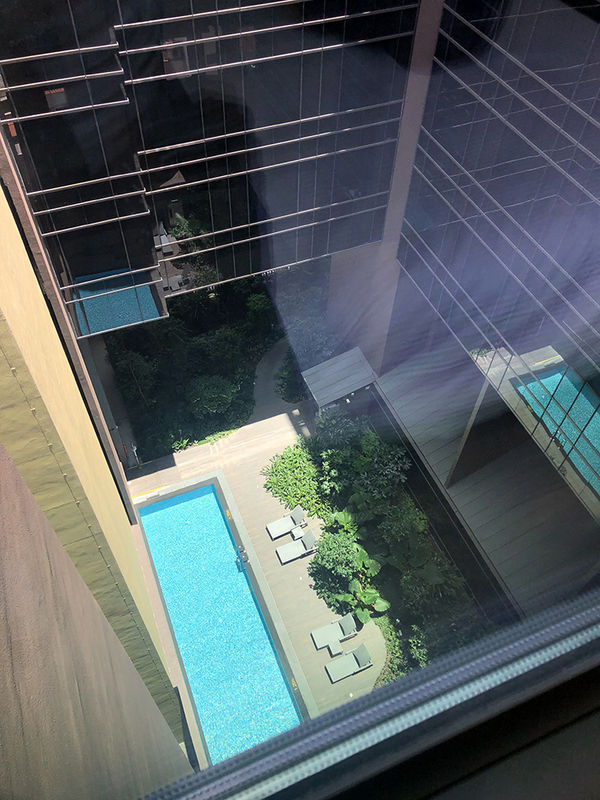 Our room has a view of the pool, but fave son didn’t even get to swim there as the whole team traveled to the Singapore Sports Hub to train/swim. For me, the redeeming value of this hotel, other than the affordability, is its location. It's just outside the main shopping belt of Orchard Road, along Bencoolen Street. 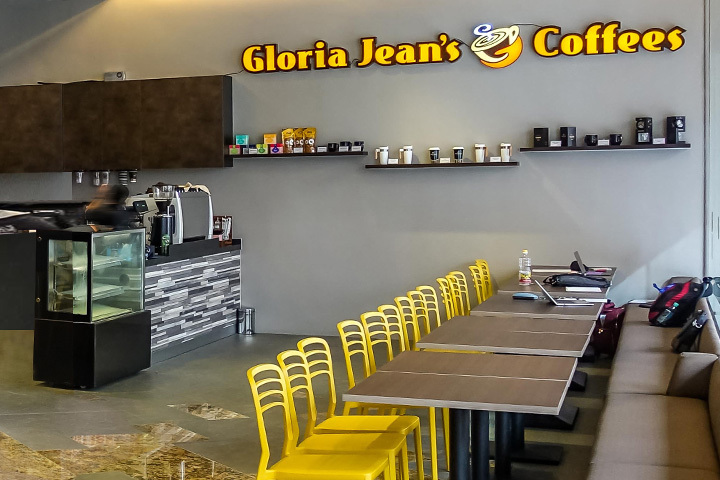 It is located near 2 MRT stations on two different lines, a bus stop and a taxi stand. There are 2 7eleven nearby, a Food Republic food court right at the intersection. Bugis Junction is also a walk away. I can leave fave son in the hotel while he gets ready for the afternoon training during our first few days and trust that he's able to go out by himself and buy food if he gets hungry. Since the MRT station is just a few meters away, he goes out na din with his teammates to travel to the Sports Hub. Di ko na kailangan pang asikauhin, and B and I can attend to our own thing. We went to nearby CHIJMES and took lots of photos. hehehe! Another feature which we really appreciated was the free use of a mobile phone, with which we could make free local calls and use the WiFi for Google Maps to navigate around Singapore. However, it could not be used as a mobile hotspot. 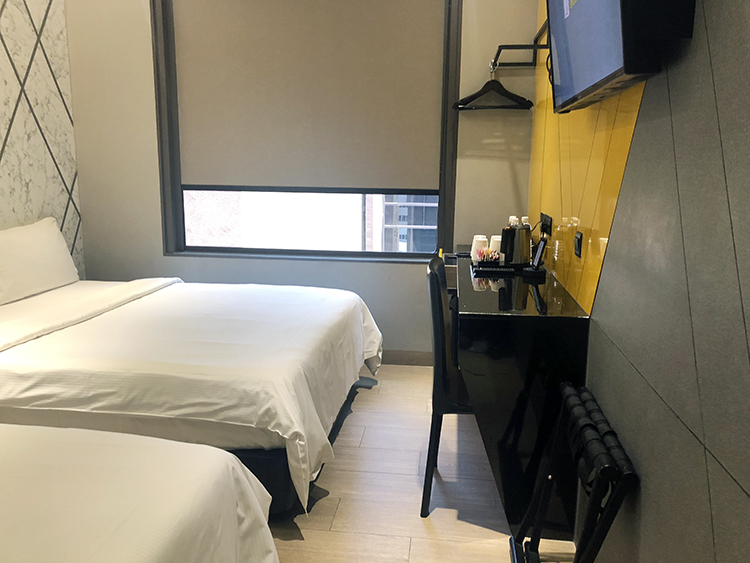 The Hotel Mi does not have a restaurant, only a coffee shop, but there are many reasonably-priced food outlets within a short walking distance. All of the hotel staff whom we encountered were extremely friendly and helpful. We arrived at the hotel at 12pm and we were allowed to check in immediately even though check in is supposed to be at 2 o'clock. While I would book Hotel Mi Bencoolen again for future trips, Chris doesn't want. He's claustrophobic! Bakasyon nga daw for a reason! Hahahaha! Mas gusto daw nya ng mas malaking kwarto. We all loved our room at the Marina Bay Sands during our previous visit to Singapore. The kids did not want to leave the room. What kind of traveler are you? Would you trade comfort for affordability when choosing your hotel? Because I would! But sadly, my husband won't. Public transport in Singapore is fast, convenient and reliable. 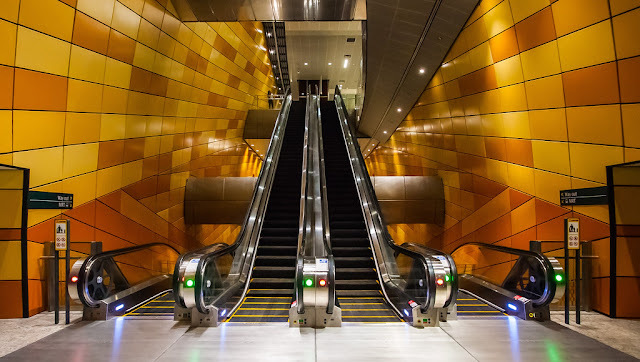 MRT – This is the local subway system, and offers probably the quickest way to get around if you and your destination are both near an MRT station. 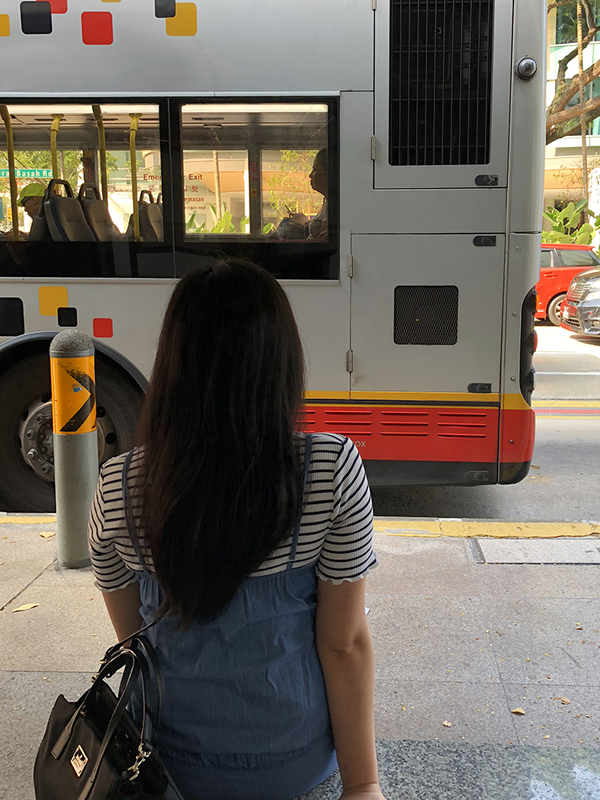 Buses – Slower than the MRT, but also the cheapest way to get to a destination if there is no MRT station nearby. Personally, if time is not of the essence, I prefer to take the bus because I enjoy taking in the sights of the city while my bus is plying the streets. Taxis – the best option when you travel in group and the distance covered is short. If all 4 of us travel together, then this is our default mode of transportation. But there are times that it’s just me and the hubby, or just me and my daughter. Then I have to take into consideration which option can take me to my destination which suits either my time or budget or comfort. Let’s say the decision to take the MRT because it is more economical will have to be weighed against how far do we have to walk? Shempre pag pagod na kami, comfort is king. I want to have details like that available to me because the difference could run in the thousands of pesos. Think about the transportation expense piling up in an 8-day vacation. We relied on Google Maps and Rome2Rio. 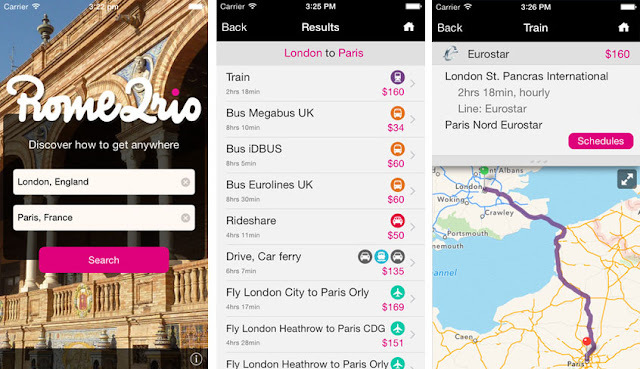 Both are travel apps that functions as a map and offers different travel options (train, drive, cab, walk, and even ride-sharing) to suit your time and budget. All costs are shown, even including public transport costs to get to airports or train stations. It amazes me how having WiFi all the time is a must nowadays. I can’t even imagine life without it. 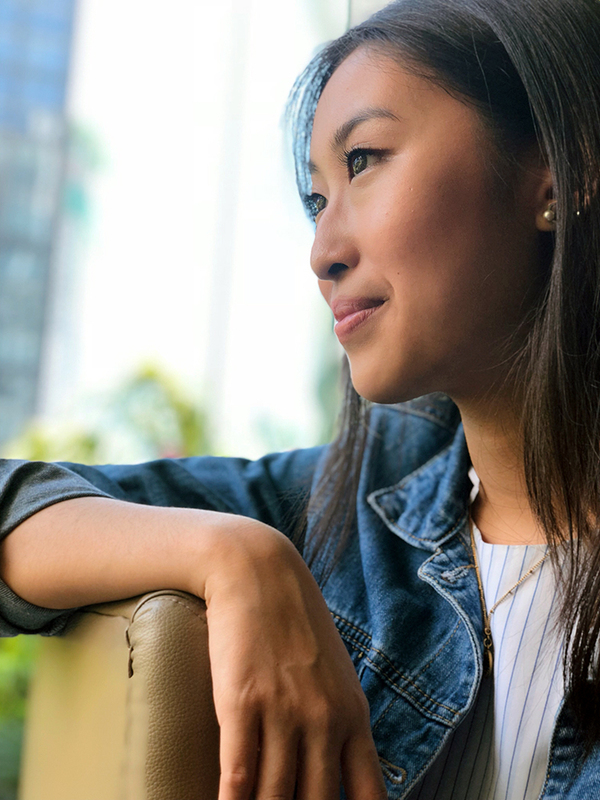 It goes without saying that a reliable connection is a must when traveling. We need it to research our travel itinerary, to try to find my way in an unfamiliar country, communicate with family back home and of course, post on social media. Although free WiFi exists in Singapore , its accessibility for travelers on a tight schedule is unreliable. When you are lost in the middle of nowhere, it is problematic to go look for a mall just to connect to their free WiFi. And even if you do, you have to deal with the low speed because of the large number of people connected to it, or get frustrated as you keep on getting disconnected. You have the option to rent or purchase a pocket wifi device like skyroam, which you allows tethering upto 5 gadgets. But for my family, we prefer purchasing travel sim cards because the kids are independent and adventurous, and there are times that we split up during the day. Separate SIM cards are useful because there are times we tend to go separate ways. A travel Sim would allow everyone to still be connected online. Of course I want to get regular updates from them to be assured of their safety and know their whereabouts. A few days before our trip, I purchased a data-only M1 SIM card online at Changi Recommends and simply collected it on arrival at their booth in Changi Airport where the staff set up the SIM for me. Most people think it’s inconvenient to install a sim card, but it's actually hassle free. 1. I do not need to be mindful of turning your phone on and off to save battery life unlike with a portable pocket wifi. 2. I also don’t need to return any unit at the end of my stay and I have one less device to carry around. 3. I am also able to use my phone as a mobile hot spot because of the very generous data allowance – 100 gig ba naman! Yes! You read it right! 100GIG! I wasn't even able to use up 25% of it. 4. I'm able to retain my Manila number for Viber. There's a prompt that asked me which number I wanted to use for Viber and I just chose to retain my Globe number. 5. There's a 500 minutes local calls allowance, 100 local SMS and 20 minutes of international call. This is what I purchased. 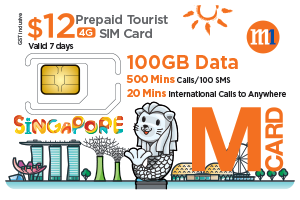 The M1 travel sim retails for S$12, but I only paid S$9 as it was on promo. I just checked prior to posting and it's still on a promo for S$10. When I asked before our trip, a pocket wifi rental goes for P590 a day for unlimited internet (4G + hotspot + powerbank) as opposed to this travel sim for only P350 for 7 days. Dont take my word for it. Do the math yourself! 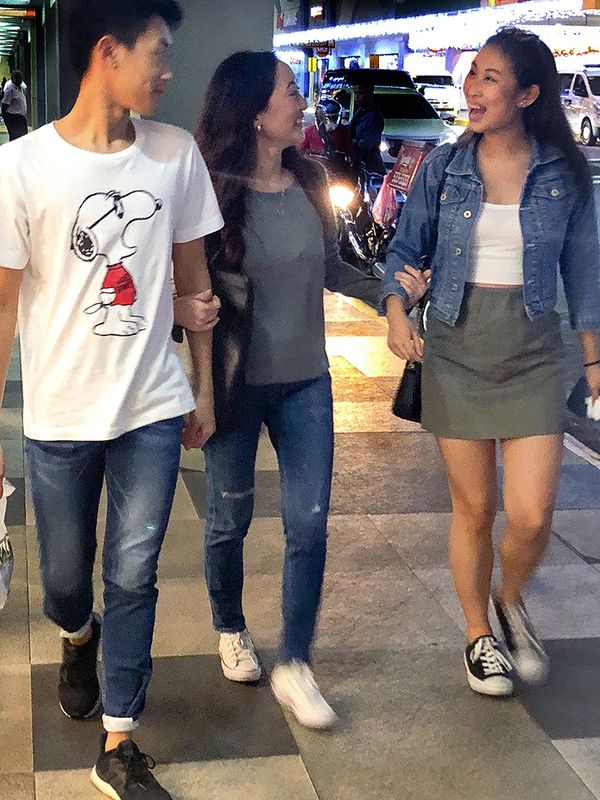 Even if you buy for each member of your group, it's still more cost-effective as it allows you to go on separate ways and still be able to connect for a later meet up. But a caveat - before you purchase, make sure that your phone is “unlocked”. If you purchased your phone through a plan with a specific provider and have a contract, the travel SIM won't work on yor phone. Sharing more about IG spots and hawker food discoveries in my next posts! 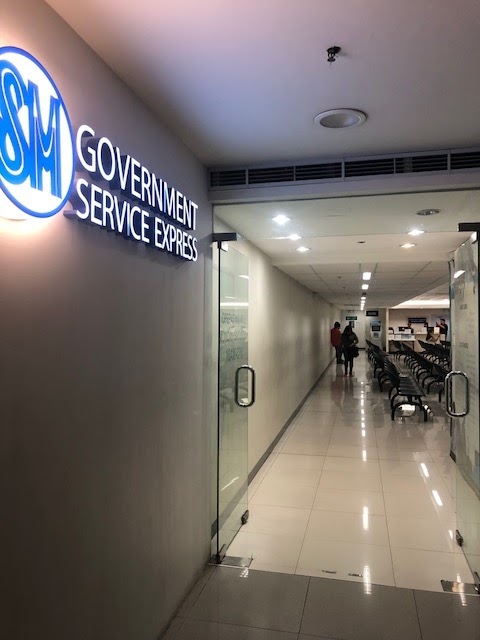 I asked around for the most efficient LTO office to have my license renewed and most people recommended the LTO satellite office at SM North EDSA Annex building. My sister had hers renewed here and she said it took her only about an hour during lunch time. The LTO office is located at the SM Annex Lower Ground Floor, near the Bowling Center. There's a sign at the entrance which says Government Service Express. The LTO office in SM North Edsa opens at 9:00 am. I got there around the same time, and as you can see, medyo madilim pa because the mall lights have not been turned on yet. 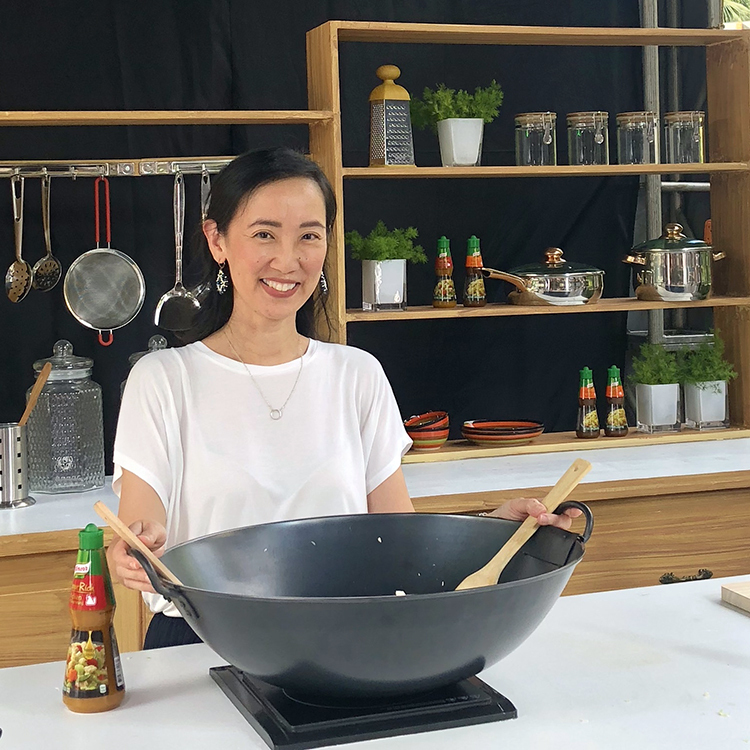 As a mom who cooks for my family everyday, I'm always on the lookout for products that can elevate my simple home-cooked meals into a specialty dish that my family will savor. Knorr SavorRich is the first ever meaty seasoning in a liquid form that's available in the market. Each drop is packed with real meat flavor, making dishes richer and meatier with every bite. On days leading to holidays and family celebrations, we usually draw up our dinner menu and we each take charge of dish. It's like a doing a potluck at home, since I encourage everyone to make a dish of their choice. Here's how our table looked like during one of our celebrations. 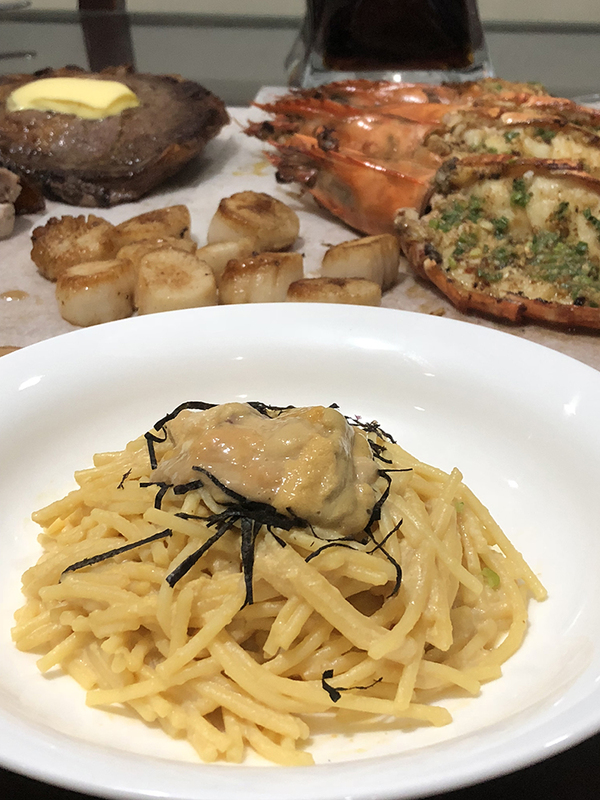 I took charge of the pasta, grilled the the rib-eye steak and cooked the prawns and scallops. As I've mentioned in my previous blog post, my daughter and I went to Ayumi sometime in February. 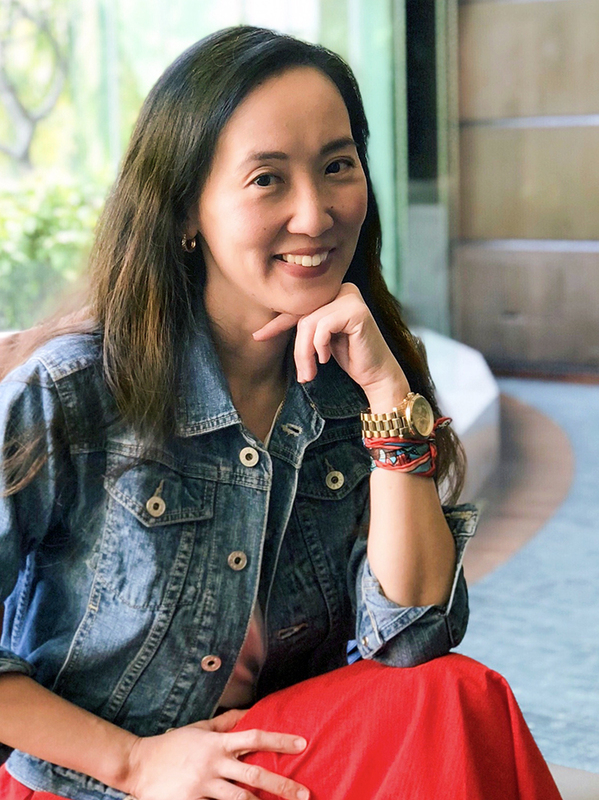 I tried their Tokyo Bright Teeth Whitening, while my daughter got the lash extensions she has long been wanting to get. Today I'll share more about the Ange Curl procedure by Ayumi which my daughter did a week ago. Ange Curl is the first of its kind in the Philippines where its like a lash lift and a lash volumizer in one. High-quality sable mink Japanese lashes are attached to your natural lashes using a serum-infused glue to keep your natural lashes intact, stronger and lifted. Last weekend, I took some time off to do something that I have always wanted to do for myself: I went in for teeth whitening! I've always wanted to do teeth whitening for the longest time, but as a busy mom it was difficult to justify spending so much for something that most people consider to be vanity. Since I've turned 40 a few years ago, I noticed my teeth turning slightly yellow, and then I learned through my dentist that it's a natural progression as we get older because the enamel of our teeth becomes worn. Not to mention that I have naturally thin enamel na daw talaga which makes my teeth appear yellow. I've tried home remedies like brushing with baking soda and oil pulling without success. I can't believe it's been a month into 2019 already. In a few days, Chinese New Year na! 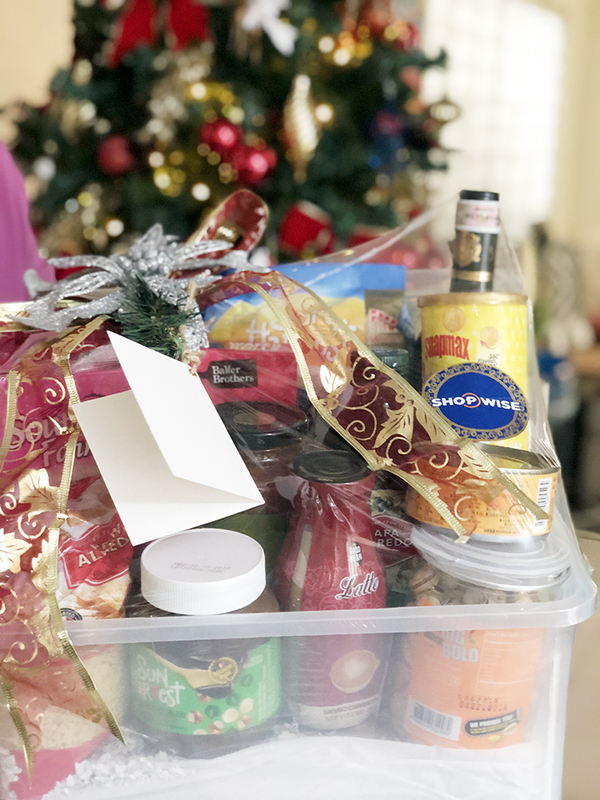 For most Chinese, it is a tradition to welcome it with a grand celebration along with an abundance of dishes to bring everyone good luck for the coming year. Usually, we celebrate Chinese New Year's Eve by having dinner with my side of the family and New Year's Lunch with my husband's side of the family. My mom prepares the same dishes yearly which she believes will bring good luck to all of us. My mother in law has her own beliefs naman. But what almost all Chinese families have in common is that a few days leading up to Chinese New Year, almost everyone is in Chinatown stocking up on things to welcome the New Year. I just ordered my weekly grocery the other day from S&R via honestbee. And while I was buying my groceries online, I discovered that honestbee now has a category to specifically cater to families celebrating Chinese New Year. It's December already! There are certain things that are "constants" for me everytime December comes around: shopping and dining out. Whenever I see women my age with toned arms, I wish that mine would look like that, too. I miss the arms I had when I was in my 20s. 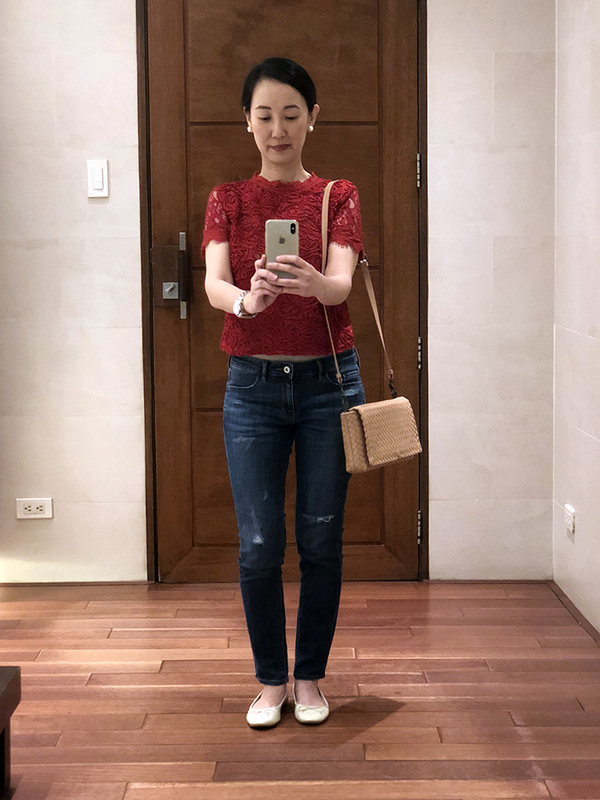 Now that I'm in my 40s, I just stopped wearing sleeveless tops because I just want to hide my arms. It's not that I have big arms, it's just that they are devoid of muscles. It would look more attractive to wear sleeveless tops pag my definition sa arms kahit papaano, di ba? My most recent photo. I'm happy to see that I've lost a few inches off my thighs and hips which are so stubborn and most difficult to take out. Do you have that problem, too?